As the United States population and baby boomers skews towards 70 years old, the working population finds itself aging as well. Within the trucking industry, one of the factors that has contributed to the driving shortage of trucking jobs in the country is the lack of younger drivers behind the wheel. Many younger folks may not be able to envision themselves working in the transportation, but that does not exclude the older end of the working class to buckle up and haul a rig down the highway. Many transportation companies prefer to hire men and women who have more years under their belt and therefore more life experience in dealing with various situations. Even if a particular job candidate of a certain age is lacking the practical know-how of unloading freight or managing their e-logs, chances are their experience and expertise in other fields can transfer to a trucking position, or give them an idea of how to properly adapt to a new job experience. 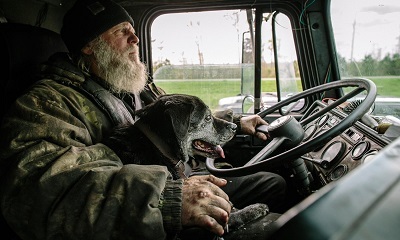 Older Americans needn't worry about exclusion for consideration of truck driver jobs – they are often welcomed to the field. Older drivers, however, must think about some of the physical limitations on the job. Some companies require that their drivers must be able to effectively and efficiently unload freight without the potential of harming themselves. Even something as routine as getting in and out of the truck or sitting for extended periods of time are factors that drivers must consider when choosing a career in driving. Drivers of a certain age must also consider operating with the maximum amount of safety on the road. A recent study concluded that a great deal of severe trucking accidents on the roads are caused by drivers in the 65-75 age range, with drivers from 50- 60 years not falling far behind. Texas alone over the past few years saw over 1600 accidents caused by drivers aged over 70 years. This does not mean that drivers who are older are strictly seen as trucking hazards – just as any other driver, they are viewed as competent and valuable assets to a trucking company until their actions prove otherwise. Older men and women entering the field often have the ability to find careers mentoring and training other drivers, providing insight from their storied lives for use in a younger trucker's career. Even if an older employee cannot help a younger employee with a practical skill such as shifting maneuvers, they can often distill advice relating to managing one's time or family-related issues in order to strike a better balance within their lives. There are however, many companies that look to benefit drivers older drivers by offering truck driving jobs that offer 99% no-touch freight. This reduces the amount of physical labor one must accomplish and helps aged truckers focus on other aspects of the job such as navigating the best route or practicing safety in other aspects of their work routine. It is illegal for trucking companies to discriminate against an applicant solely based upon their date of birth, so drivers needn't worry about being excluded simply based on their age. Whether a driver is looking to get back into the trucking game after leaving the wheel dormant for some time, or they are attempting to find a career that suits them as they age gracefully. The best tactic is to search for jobs that are transparent about job responsibilities and daily routine. Secondly, drivers can express any concerns to a recruiter to ensure that a particular position will fit well with their lifestyles.